The Water Ethics Network facilitates sharing of experience, ideas, and information about events and activities relating to water ethics. The aim is to bring an awareness of water ethics into the everyday discourse of water policies and management decisions, so that choices about water use and water ecosystem management are consciously informed by values. The network is sponsored by the Water-Culture Institute and the partner organizations listed below. What Can Water Ethics Do for Climate Change? The biggest priority for any thinking human has got to be climate change because that is the existential threat to the very survival of our species. Which brings me to the uncomfortable question about water ethics. Is water ethics too refined an issue to worry about when there are more important challenges, like the oil industry hell-bent on profiting from the destruction of our planet? Is water ethics just another form of rearranging the deck chairs on the Titanic, as we head towards the iceberg? It's true that water is not everything; there is more to life than water. But water is clearly connected to everything; it is the basis for life. Ethics is also not everything, but like water, ethics is connected to everything we do. How do the ways we use water and the ways we apply ethics make any difference in limiting the proportion of CO2 in the atmosphere? Is Exxon-Mobil going to pollute the world any less because of our adherence to ethical water principles? There is a famous quote by John Muir, one of the 19th Century founders of environmentalism, that if we tug at one small piece of nature "we find it hitched to everything else in the Universe". It's certainly true for water, and it's also true of ethics. The lessons we learn from applying an ethics perspective to the way we use water, can help us tug at the existential threat of climate change. How? The oil industry uses lots of water directly and contaminates vast aquifers in the process of fracking, drilling, and transporting oil and gas through pipelines prone to leakage. These are huge water management issues made visible in protests by American Indian tribes and environmentalists at Standing Rock last year, and in similar protests around the world. The oil industry is a huge threat to scarce water supplies. That's the water issue. But ethics helps us see further connections between water and climate change. Pumping oil out of the ground so it can be burned is a guarantee that climate change will get worse. Ethics reveals the oil industry's activities as not just a water problem, but a climate problem. Either reason on its own is already pretty impressive: Why pollute scarce groundwater through fracking when there are renewable sources of energy available? But adding climate ethics to the water ethics makes the case for renewable energy even more of a no-brainer. Should we be pumping oil and gas out of the ground? No for reasons of water, and No for reasons of climate. There is an ethical synergy between the ethics of water and the ethics of climate. By applying ethics to water, and becoming aware of the ethics of everything water touches, we can -- and we'd better -- address the ethics of cooking our planet. Water ethics is not a distraction; it's part of the solution! Today (November 17) the Botin Foundation is hosting a celebration in Madrid to honor the career of Prof. Ramon Llamas, long-time director of the Foundation's Water Observatory, and an early and passionate advocate for water ethics. Prof. Llamas was co-chair of the UNESCO-COMEST initiative on Water and Ethics from 1998-2004, authoring a report on Groundwater Ethics. His interests in ethics were practical; he worked to solve problems of unsustainable water use by identifying basic principles that can lead to more sustainable management (See the Valencia Declaration Annex in his Groundwater report). 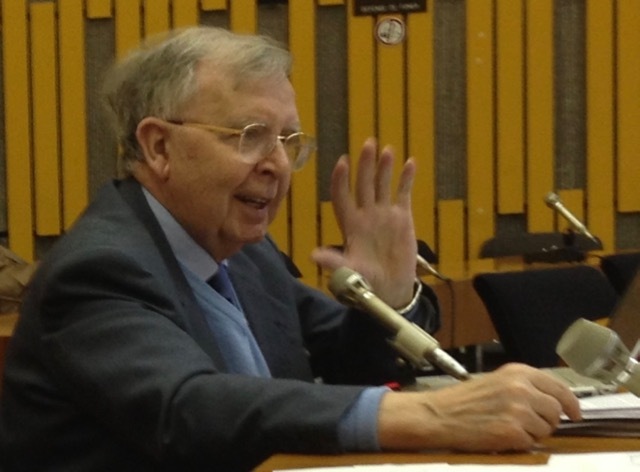 After the UNESCO program on water and ethics ended in 2004, Prof. Llamas, in his capacity as director of the Botin Water Observatory, sponsored two important symposia on water ethics, which served to maintain a momentum of interest in the topic, within the global water community. In 2007, the Observatory hosted a workshop on Water Ethics in Santander, Spain, with the papers published in 2009 under the title, Water Ethics, edited by Prof. Llamas along with Luis Martinez-Cortina and Aditi Mukherji. A workshop on water ethics and food security followed in 2010, with the papers published in a special issue of the journal, Water Policy in 2012 under the title, "The Role of Ethics in the Globalization of Water and Food" All the papers from this issue are available for download on the website of the Water Ethics Network. My own interaction with Prof. Llamas started during the 2012 World Water Forum in Marseille, where we were each involved in separate sessions on water ethics, and discussed how we might collaborate. The opportunity came the following year when the French Water Academy, UNESCO-IHP, Botin Foundation, and Water-Culture Institute began to develop the idea of a global Water Ethics Charter. This initiative has since attracted wide interest, and is the subject of a new book, Global Water Ethics: Towards a Global Ethics Charter. The blogpost I am writing now, the website and social media sites of the Water Ethics Network, and the initiative to develop a global water ethics charter, would probably not exist without the influence and involvement of Prof. Llamas. Thank-you, Ramon, for your passion, your insights, and your leadership in promoting the study and practice of water ethics! How to Manage Water Under a Changing Climate: Think Ethically! Water is life - critical for the survival of humans and ecosystems, and irreplaceable if lost. Climate change, combined with the effects of agriculture, industry and other ongoing human activities, poses tremendous risks to the viability of freshwater ecosystems and the sustainability of our watersheds. Also, climate change impacts are carried out primarily through the water cycle, affecting the timing, volume and variability of precipitation worldwide, causing drying of some regions, while increasing flood risks in others. Water is therefore absolutely key for both climate change mitigation and adaptation efforts. More importantly, however, managing water under a changing climate requires an ethical approach, because water is enmeshed in many normative aspects of human and ecosystem life. Water governance is a profoundly ethical problem on many levels. Making choices about water allocation, for instance, often involves balancing the needs of agriculture, industry, households and ecosystems. These choices also involve trade-offs between the needs and values of present generations versus future generations, between developed and developing countries, and between present and future ecosystems and non-human species. Apart from water specifically, action on climate change in general also requires that we confront a number of important ethical challenges, including fairness and responsibility to mitigate and adapt among individuals, nations, generations and the Earth itself (see Gardiner, 2012). To date, these questions, however, have not been sufficiently addressed, and we continue to lack the decision tools to deal with inter-generational, intra-generation and environmental ethics. Developing such tools, and addressing these questions, is an urgent priority for navigating our future in a changing climate. In last year’s 21st Conference of the Parties (or COP21), water has received a respectable amount of attention. 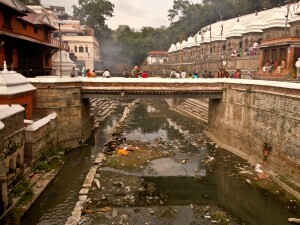 Led by the International Network of Basin Organizations, the newly proposed ‘Paris Pact on Water and Climate Change Adaptation’ commits to strengthening adaptation to climate change through cooperation, building sustainability and benefit-sharing at the basin level, considered to be the preferred governance unit for the integrated management of rivers, lakes and aquifers. 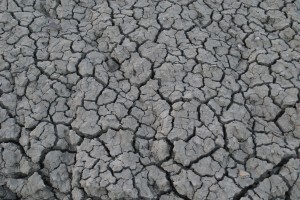 While the Pact introduces a number of concrete and promising options for water management in the context of climate change, it remains silent on the topic of ethics. For instance, by calling for basin-scale water management, the Pact would rewrite the ways in which we manage water – a process that will inevitably generate political and ethical conundrums. How will we reconcile different economic, cultural, spiritual and ecological values across the various communities in a basin? What mechanisms will be used to resolve conflicts, especially in places where water resources are relatively scarce? The Pact aims to increase water availability through efficiency and demand management – but for what purpose and for whom? Whose values will be prioritized in this process? The bold outcome of the 2015 climate agreement is a big step in the right direction. However, beyond agreeing on the ambitious target of staying “well below 2 degrees Celsius”, successful climate action depends on our ability to figure out how to meet the goals and needs of ever-growing human populations in increasingly stressed watersheds while reducing emissions. Ethics provides important analytical and decision tools that can help figure out how to meet our dual obligation to humans and to ecosystems to ensure that our precious water flows are preserved. By protecting the health of our watersheds, we protect ecosystems, landscapes, and species, at present and in the future. As climate change increasingly affects Earth systems, we need to think not only about water for humans, but also about water for the ecosystems that support life on Earth. To achieve our bold climate target in just and sustainable ways, we must finally start tackling the ethical dilemmas that climate change poses. Acknowledgements: many thanks to Rom Bolliger and David Groenfeldt for the feedback on this post. 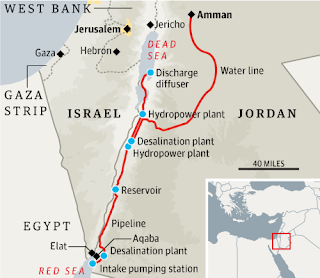 Linking the Red to the Dead Sea: is it truly ethical? 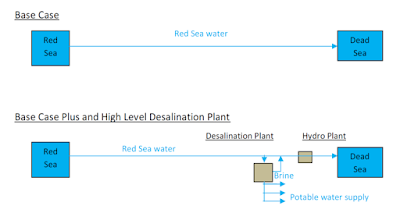 The Red-Dead Sea project (hereafter RDS) aims at linking up both seas, thus (1) refilling the Dead Sea with seawater from the Red Sea (mostly desalination brine) over a 180km pipeline, (2) providing desalinated drinking water on the way and (3) generating hydro-electricity due to over 300m difference in elevation (the Dead Sea is the lowest place on earth). Beneficiaries are Jordan and on medium-term Palestine and Israel. RDS infrastructure will be located on Jordanian grounds, in the Jordan Valley along the border (see Map). “Save the Dead Sea!” and regional peace building have been major arguments to get international funding and support. RDS comes at a time when the Dead Sea is losing around 1m per year; drinking and irrigation water needs increase in parallel to higher energy consumption. All beneficiaries are facing water stress if not chronic scarcity, Jordan and Palestine having lower underground and surface water reserves. Overall demand by far outstrips supply (e.g. Jordan River and basin). The main drivers are population growth and the sheltering of close to 1 million refugees from Syria and Iraq. Desalination requires high upfront investments and a steady energy sources; the latter can only be secured through oil imports or ideally renewable energy. 1) Are the objectives reasonable in terms of balancing expected costs against benefits, sustainability and risks? Expected benefits or “tangibles” are desalinated water and hydroelectricity. Financial costs are estimated to reach around USD 11 billion for all RDS-type scenarios. This estimate takes into account capital, operational and maintenance costs in 2020. In the final Environmental Assessment and Social Report (ESA), the non-money value of the Dead Sea is defined according to criteria set by the World Heritage Organisation. The Sea is “associated with events or living traditions, with ideas, or with beliefs, with artistic and literary works of outstanding universal significance” (criterion vi); it is an “area of exceptional beauty and aesthetic importance” (criterion vii); it is an “outstanding example representing major stages of Earth’s history, including the record of life” (criterion viii). These criteria are so called “intangibles” because the market does not value them. The cost benefit evaluation tackles intangibles by surveying public opinions, a common practice in environmental economics. The sticking points are three-fold. First, the survey interviewed around 9000 people in 18 countries. This probably means that a significant number of interviewees were not familiar with the Dead Sea and the Jordan Valley’s daily problems, thus fudging their preferences. Second, only a fraction out of 9000 would reflect the preferences of local communities living within the project area. a) What would you be willing to pay to stabilize declining Dead Sea levels and prevent further environmental degradation? b) What would you be willing to pay to build a symbol of peaceful co-operation in the Middle East? The aggregated answers to both questions were respectively USD 30 and 11 billion. What does it mean? It means that all interviewees are willing to spend 41 billion to save the Dead Sea and support peace in the Middle East. The main problem is that estimated intangibles (41 billion!) are recorded as part of total benefits (See Table infra). This figure makes up for almost ¾ of total benefits, meaning that the key-objectives of generating water and hydropower, including profits generated by tourism and the chemical industry amount to only ¼ of the total. This approach “inflates” total benefits, but by deleting intangibles, total benefits fall down to 15 billion! Once adjusted total benefits represent only 15 billion instead of 57 billion, versus 11 billon total costs. The stabilization of Dead Sea levels is considered a direct positive benefit, but the promised salvage is not guaranteed. The limit of conveyed Red Sea water is set at 2000 MCM/year because it must be channelled and “available” at different heights. Due to pumping cost and network capacity, this amount will remain a systemic limitation. The working assumption is that at least 1200 MCM are needed to save the Dead Sea annually. This is just enough to halt the process if everything remains stable within the next 30 years. Over time, more freshwater will be required as demand grows. In addition, evaporation rates will rise due to climate change. Realistically, the share of water going to the Dead Sea could become insufficient as it is increasingly reallocated for desalination purposes. The Feasibility Study highlights two external risks, namely seismic activity in the region, and potential pipeline damages causing saltwater intrusion. Moreover, the deterioration of Dead Sea water quality causing algae bloom constitutes an additional risk. Recalling the “heritage site” criterion, the ESA posits that post-mitigation impact will be “moderate”. So far though, there is no clear-cut evidence that the Red-Dead mixing regime will be harmless. ESA admits that “because of the uncertainties regarding these effects, their potential impact on cultural and natural heritage is considered to be of major significance”. It therefore deems “additional study from information gained from physical trials” necessary. In other words, this means that the risks related to RDS are not entirely predictable and are likely (if not very likely) to damage the Dead Sea and its surroundings. Adding to uncertainty, the cost analysis leaves out identified external risk-related costs. The relationship of risks related to environmental damages and potential benefits is of critical importance. In the present case, the costs of risk-occurrence remain unknown. Clearly, it does not mean that because risks are listed on paper, that these cease to exist in reality, especially in terms of damages to the environment and reparation costs. In that sense, both principles of sustainability and precaution constitute weak spots of the RDS feasibility. In this case, it is politically acknowledged that risks are worth taking. In other words, the costs and benefits of answering growing energy and water demand, in the context of scarcity, are considered more important than identified risks and alternative options. 2) Are there other alternatives available that can offer lower costs, less risks and more sustainability? The nature of the landscape and external risks identified call, from a technical perspective, for joint management and cross-border alternatives, decentralised infrastructure and independent power sources, providing desalinated water close to national water networks. This would allow for better maintenance and shorter cost recovery, timely upgrades and adjustments. The historical flow of the Jordan River of about 1,300 MCM/year annually has been progressively reduced by upstream diversion – mainly by Israel, Jordan and Syria. The ethical question is; should efforts focus on the Dead Sea, which is already “dead” or should efforts focus on the Jordan River, which is very much “alive” but threatened to disappear completely from the Basin? From an ethical perspective, it would be wise to concentrate all efforts on the Jordan River, and then try to revive the Dead Sea. Reviving the Jordan ultimately means saving the Dead Sea because the Jordan naturally flows into the Dead Sea. 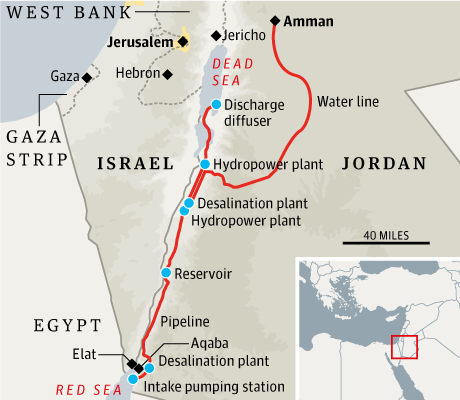 Surely, no one will contest that losing the Jordan (and its aquifer) would be far worse than losing the Dead Sea. The “comparison of alternatives” table in the Final Environmental and Social Assessment compares the costs of each alternative to RDS. The table explains that the identified benefits of RDS respectively to “stabilize the dead sea”, “provide water for three beneficiaries” and “generate hydropower” will not be achieved by saving the Jordan River. Hence, the full range of benefits such as ecosystem restauration, aquifer replenishment, health gains, and touristic advantages etc., fall out of the study. Accordingly, the scenario of the Jordan River’s full restauration is evaluated as “not know; but costly”. This seems vague and insufficient given that saving the Jordan is one of the most important alternatives to RDS. These findings ignore the wealth of options that could provide water and generate hydropower while saving the Jordan. See for instance the “Jordan River’s full restauration” scenario as described here by a regional NGO EcoPeaceMiddle East in its “Regional Master Plan for the Sustainable Development of the Jordan Valley”. The intangible valuation of restoring the river would bring about similar or potentially higher results than those obtained for RDS. First, part of the Jordan’s banks and nearby locations are classified as UNESCO “World Heritage” sites. Second, the Jordan River is not only related to Christian baptism, but bears great symbolical meaning for Jewish and Muslims in the region and around the world. Hence, a “Jordan” vs. “Dead Sea” survey is likely to see people choose the river over the sea. The RDS project lifetime calls for other alternatives. In fact, the first drops of desalinated water will reach the first Jordanian taps in 2020, if there are no delays. By then, scarcity will be more severe even though a fraction of the required capital investments could have financed smaller alternatives with shorter implementation time, lower risks and immediate water or energy outputs. Even the ESA report underscores that RDS is not without public concerns. Israeli and Palestinian communities invited to public hearings worried that other strategic alternatives, such as the restauration of the Jordan Valley, were being dismissed too rapidly. Regulate the chemical industry’s rate of extraction and increase water efficiency in the agricultural and tourism sector. Reduce water loses within national water carriers and restore the old-aged piping infrastructure in Jordan and Palestine. Maximise rainwater harvesting during winter precipitations in Palestine and Jordan thus minimizing treatment and pumping cost. Share water equitably along the Jordan and its tributaries e.g. 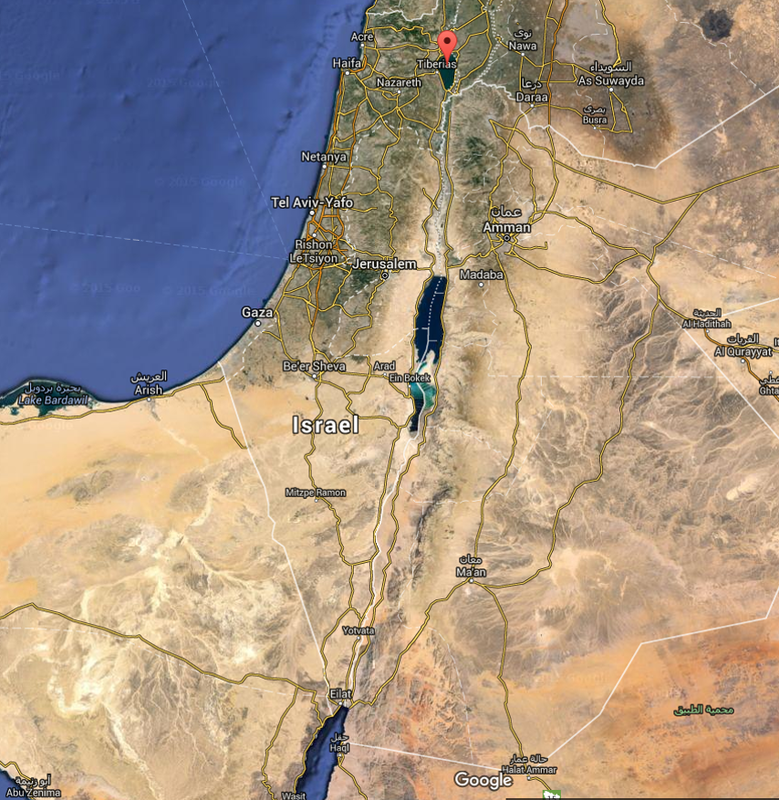 starting with Lake Tiberias (see red pin on the Map) in Israel or the multiple dams build on the Yarmouk River in Syria. The last option would require joint diplomacy to achieve long-lasting peace because water is always related to national security in the Middle East. So far, multiple security deadlocks tremendously impair the much more sustainable aim of cross-border water sharing. The total cost of these alternatives could be higher than RDS, but there is no doubt that their benefits, taken separately or not, would be higher, less risky and more sustainable. 3) Are information disclosure and public participation guaranteed at all stages? The World Bank has made all studies available on its website. Hence, the public disclosure of background documents is largely fulfilled. However, the involvement of Palestinian, Israeli and Jordan civil society by the World Bank and state parties cannot be qualified as progressive. In fact, even though NGOs and private sectors have expressed their views during public hearings, no democratic participation mechanism were set up by the beneficiary parties or by the World Bank. Hence, civil society is not be included in decision-making. Consultations were limited to public statements and sharing opinions but did not grant further rights to representatives from civil society and communities. There is no need to explain that this could potentially back fire in the future (e.g. civil disobedience, lack of ownership, free riding and non-payment of tariffs). Finally, is RDS ethical? In the light of the previous points, it seems not. This brief review leaves me with two nagging questions. First, can ethics be sacrificed to provide water and energy in times of scarcity and war? Second, can ethics exist without democratic participation? Despite the tangible benefits of the project, it seems that its main shortcomings are mostly the result of the political deadlock in the region. Hence, instead of strengthening political peace, decision makers have chosen an ambitious technical substitute. However, RDS remains potentially unethical in its grand design. It is up to decision-makers to feel out whether it is the right way to revive the Dead Sea, or whether efforts should focus on more ethical alternatives. The original article is to be found on the following website and is posted here with the express agreement of the Praxis Center. Is it ethical to let a river run dry? Is it ethical to have clean drinking water in Vancouver and hundreds of boil water advisories in Indigenous communities all across Canada? Is it ethical to take away water from rural areas to quench the thirst of ever growing cities? We rarely ask ourselves these questions. Worse, we think it’s the philosopher’s job to figure out the ethics questions. Not true. Ethics is not abstract, not just an idea. We apply ethics everyday— from our personal choices to making decisions about the environment. So what is environmental ethics? In short, it is derived from the human relationship with the natural environment. Broadly speaking, it is about deeply held values related to our connections with non-human beings and ecosystems. It goes without saying that different people and peoples hold different values and therefore convey and abide by very different ethics. Unfortunately, in environmental governance (i.e., the ways in which we manage natural resources, such as water, forests, fisheries, and the environment) we rarely acknowledge our own values, let alone critically engage with them. Instead, environmental planners and decision-makers often bury value judgments in the technical language of efficacy and expediency. A lack of critical engagement with ethics constitutes a major blind spot in environmental governance. As a result we fail to acknowledge that competing ethics can be sources of environmental and social injustice and conflict. 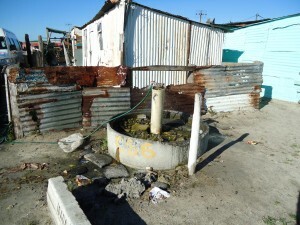 With 780 million people without access to clean water for drinking and domestic use and close to 2.5 billion people without access to adequate sanitation (most of whom live in aboriginal communities and impoverished rural and urban areas in the Global South) combined with population growth, urbanization and climate change, water access is indeed a complex problem. In conventional water management, economic and technical thinking have been the main drivers of decision-making and planning. As a result of relying too heavily on the productive uses of water, we have seen water grabbing, diversion, damming and displacement of peoples in the Global South and elsewhere. Why do we value efficiency in water supply systems more than their impact on wildlife or marginalized peoples? Would we still build dams if we understood them to be unethical? This is not to say that we should not care about efficiency at all, but to question why we value economic and technical aspects more than other considerations. Deciding where and how water should be allocated only based on economic and technical principles risks severely undermining the livelihoods and cultural, spiritual and environmental worldviews of those whose access to water is already precarious. Rather than bemoan all problems, let me tell you about the Water Ethics Initiative – a relatively small, but committed movement (and by movement here I mean a loose network of scholars and practitioners working with water in various ways) advancing an ethics agenda for water management. The initiative is mostly led by the Water Ethics Network, which was established at the Water-Culture Institute in Santa Fe, New Mexico, in 2010. The Water Ethics Initiative builds on the work of a number of scholars and organizations (for example see the work of Groenfeldt, 2013; Groenfeldt & Schmidt, 2013; Schmidt & Peppard, 2014). One of the key objectives of the Initiative is to create a Water Ethics Charter— a consensus document outlining the guiding moral and ethical principles in water governance— to be endorsed by governments, NGOs, water stewardship organizations, Indigenous nations and companies. The process of creating the Charter does not have a clear pre-determined water ethic in mind. Instead, through the deliberation process, the Initiative hopes to raise awareness around ethics, a far too mute aspect of water governance. The process of creating the Charter aims to build up a more grounded understanding of the values that do and those that should guide decision-making around water. 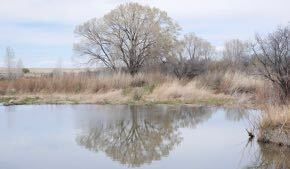 An ethical framing of water governance, for example, could be significantly more attentive to questions of social and environmental justice as well as diverse cultural and spiritual beliefs around water. An ethics-based water paradigm could start by asking whose water we are talking about, who is involved in the governance process, and how burdens, benefits and responsibilities are shared among the community of water users. Ethics in a classical sense refers to morals— and deeply held values—that determine which social practices are acceptable or unacceptable. Ethics offer a guide in deciding which actions to take (i.e. between two choices, the ethical one is more desirable). Traditionally, in Western industrialized contexts, we tend to think about morals only in reference to humans. Valuing nature, for example, happens in terms of its utility to society. In contrast, First Nations communities in British Columbia have had historically a rather different mentality around water and the biosphere in general—one more in tune with the various relationships between humans and nature and the obligations that arise from these deep interconnections. With the rise of environmental ethics in philosophy, scholars started talking about nature’s intrinsic value and questioned the lack of moral considerations for non-human species and ecosystems. Today, many, including myself, argue that we have numerous reasons to start thinking more comprehensively about ethics in environmental governance. One reason is the fact that the ways we manage or intervene in ecosystems often have serious ethical implications that are explicitly related to social an environmental justice. For instance, a decision to increase water supply through dam building has oftentimes led to displacement of people, dramatically altering watercourses, destroying fish habitats and other ecosystems. A few powerful lessons have already emerged from the work of the Water Ethics Initiative. First, fairness, justice and equity are important dimensions of water governance. This of course is not new, but few water policies score very well on these points. Second, there are many moral worldviews (western, Indigenous, cultural and spiritual) that pertain to water and the biosphere in general. Many of them are incommensurable. This challenges the possibility to arrive at “mutually agreed upon” water ethics and raises the need for place-based approaches to thinking about ethics. Third, a number of water experts and practitioners are highlighting the need to think about water as a complex social-ecological system (in other words, seeing nature and society as highly interlinked) and argue for embedding our ethical worldview in this systems understanding. And lastly, water ethics, and environmental ethics in general, should start from a (re)thinking of our relationship with the ecological world around us. Clearly, coming up with a Water Ethics Charter poses a number of conceptual and practical challenges: how to reconcile diverse and often incommensurable values? How to conceptualize ethics within an understanding of water and society as interlinked? One thing is clear, a deceptively value-neutral technical or economic way of thinking about water, or other elements of the natural environment for that matter, misses a set of important social and ecological relationships around it. We need to expand our understanding of the water cycle to account for power, culture, and politics. 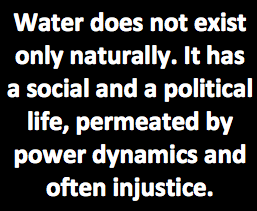 In simple words: water does not exist only naturally. It has a social and a political life, permeated by power dynamics and often injustice. Social and environmental (in)justice are highly interlinked processes. We see this in the inequitable distribution of pollution and “clean” environmental spaces between richer and poorer populations. Power relations and inequality do not only affect society. Instead, power relations also affect different kinds of environments, prioritizing sites for conservation and contributing to environmental degradation to maintain the interests of social elites to the detriment of marginalized, impoverished and racialized populations— and to the detriment of ecosystems themselves. In other words, social injustice is often played out through the ecosystem. An understanding that ecosystems have political lives can take us a long way. As water is simultaneously material and political (Bakker, 2012), so are other ecosystems, natural resources, or ecosystem services. This can help us start seeing that power relations are internal to social-ecological systems, not external. Employing ethics could help explicitly and directly address the social and environmental justice implications of decisions in environmental governance. This is not just wishful thinking. We have already made tremendous progress over the past centuries in extending our ethical boundaries beyond personal self-interest. Historically, we have seen progress in adopting ethical principles of fairness, solidarity, and equity in social systems that we could perhaps draw from to apply to ecological systems. However, we have had much less success in adopting a more ethical relationship with the surrounding environment. This new water ethic should move beyond human relationships between individuals. It should involve responsibilities and obligations among communities and nations, between humans and non-human species and ecosystems, and between present and future generations. We can start by first asking whether a decision we make around water is ethical. We can start by evaluating the outcomes of water policies in terms of how ethical they are. We can also collectively work towards building a shared vision for more ethical water governance. Lyudmila (Lucy) Rodina is a PhD student, working with Leila Harris, at the Institute for Resources, Environment and Sustainability (IRES) and a Liu Scholar at the Liu Institute for Global Issues. In her research, Lucy explores the intersection of water governance and climate change in urban contexts using a social-ecological systems approach. Lucy is a Steering Committee member of the International Development Research Network at UBC and a member of the EDGES research collaborative and the Program on Water Governance. She is also a social media intern for the Water Ethics Network. We welcome submissions to the Water Ethics Blog. Contact network@waterculture.org to submit a post or pitch an idea. Join us to uncover, discuss, and analyze the diverse value systems that influence how we use water. Get the Water Ethics Network Newsletter! 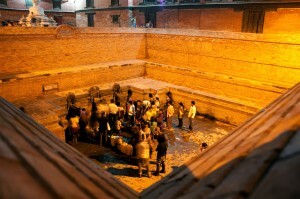 Water-Culture Institute 2011. Ethereal theme. Powered by Blogger.